Thomsen and Svensson’s contributions helped the Colonials win their second-ever conference championship and qualify for a first-ever appearance at the NCAA Championship Tournament. 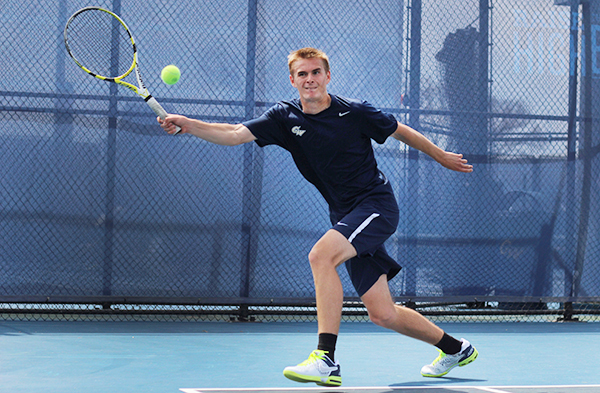 The men’s tennis team had the top seed in the conference tournament the No. 57 rank in the country, but knew the Atlantic 10 finals match against defending champion VCU would be the year’s true test. With nine match-ups against ranked opponents, the now-No. 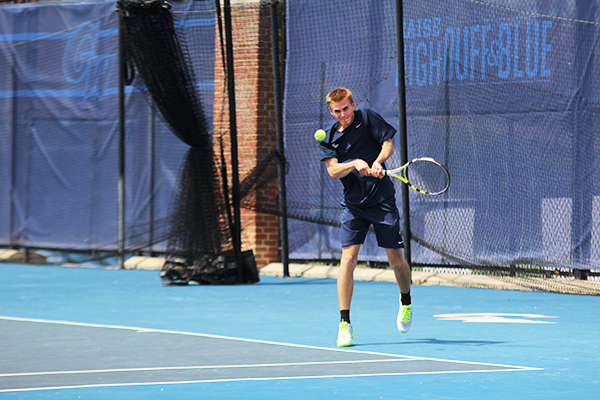 57 men’s tennis team has found itself the underdog for much of the season. But with an unexpected No. 1 ranking heading into the upcoming Atlantic 10 Championships, the Colonials are the team to beat. 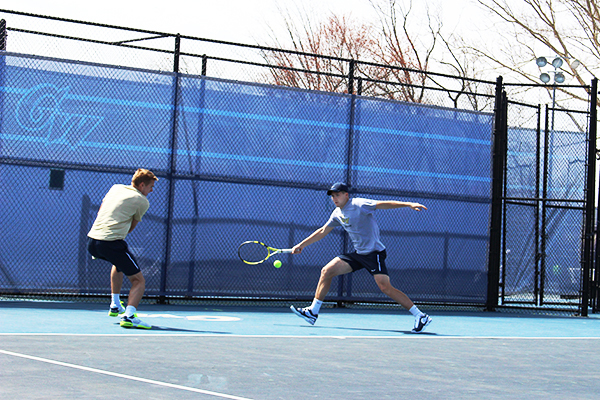 With four wins against ranked opponents, the Colonials have risen from unranked to No. 53 in the nation in just a month, nudging up against the conference’s perennial powerhouse, No. 45 VCU.